Welcome and thank you for visiting the Crashzone website. Crashzone was the first web based ( cloud ) quoting system for smash reapairers in Australia. Crashzone has been operating since 2007 and is an Australian based and owned company. 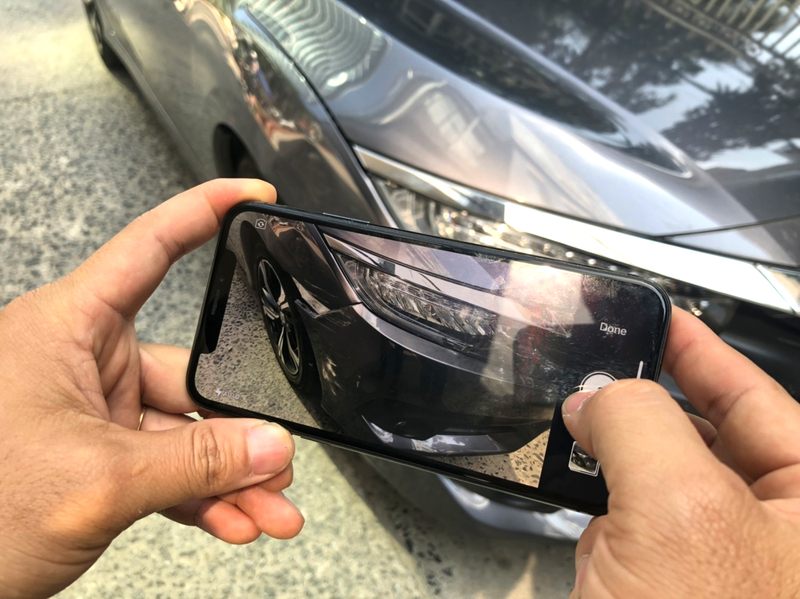 Our goal is to provide repairers with the latest technology that is easy and reliable to use without needing any specific hardware while allowing you to do ecommerce B2B with insurance companies and other 3rd party products. Crashzone has over 1000 users in Australia and New Zealand and combined our users are generating 250,000 + quotes with a value in excess of $500,000,000 (half a billion dollars) annually. Create an account today at no cost and login using a username and password ( like internet banking ) Being cloud based allows you to access Crashzone from any computer, laptop, notebook or mobile device that has internet access. This allows you to use technology such as the Apple iPad, iPhone and Android devices . Fast and simple to use, writes quotes, add images, create tax and excess invoices, email and print your quote. Crashzone is accepted by all insurance companies. Crashzone is compatible with all major Insurance companies (ecommerce) along with access to realistic times and 3rd party systems for BMS and parts management. IAG’s in house software for B2B communication. 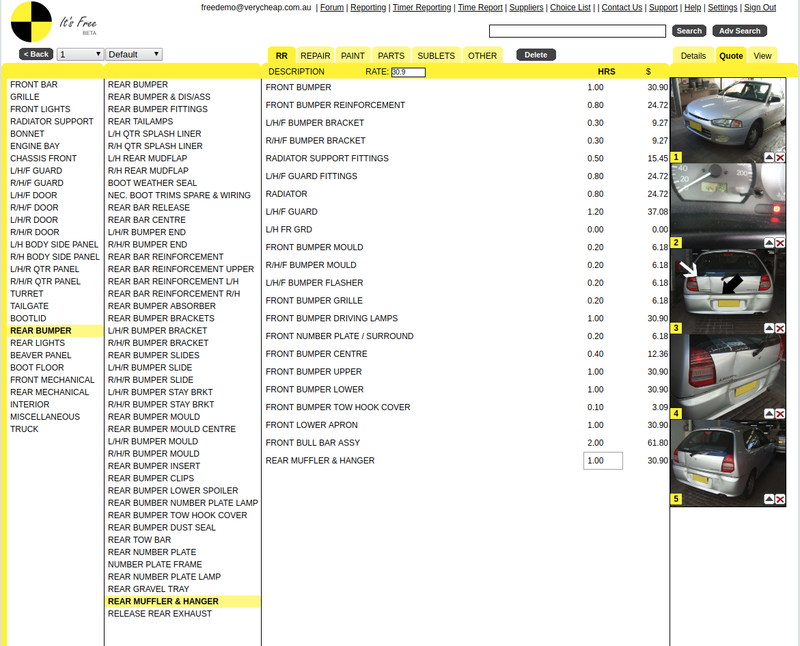 PartsCheck simplifies your parts sourcing process by connecting you to your suppliers and automatically updates part numbers and prices back into Crashzone. Q. 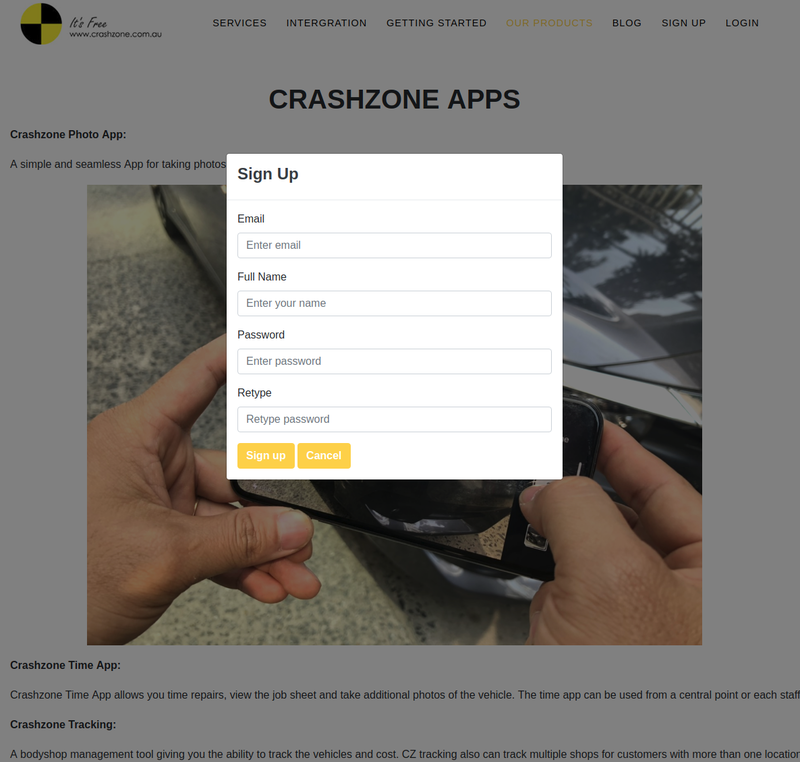 Is Crashzone owned by an insurance company? Q. Does Crashzone sell my customer data? Q. Can I download Crashzone on to my computer? Q. Can I backup my quotes with Crashzone?